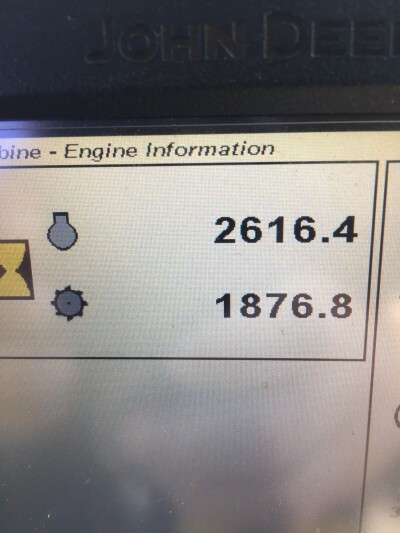 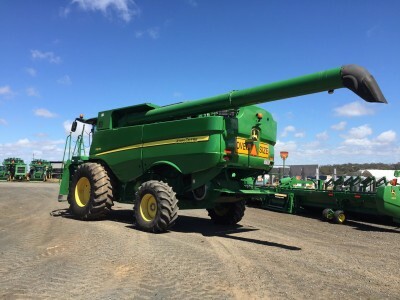 2012 JOHN DEERE S670, STS, APPROX 2616 ENGINE HOURS, 1877 ROTOR HOURS, HYDROSTATIC PRO DRIVE TRANSMISSION, AUTOTRAC READY, PREMIUM CAB WITH PREMIUM RADIO PACKAGE, REGULAR ROTOR, TOUCHSET CONCAVE ADJUST, CONTOUR MASTER / VAR SPEED WITH REVERSER, DIAL-A-SPEED, FORE & AFT REEL CONT, STRAW CHOPPER / GRAIN, JD GREENSTAR YIELD & MOISTURE W/ DISPLAY, HID LIGHTING PACKAGE, 26' UNLOADING AUGER. 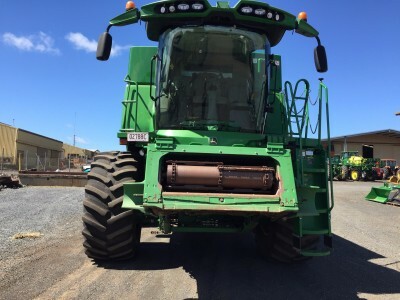 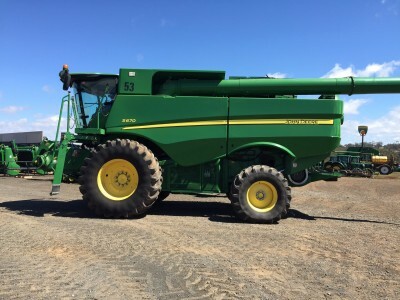 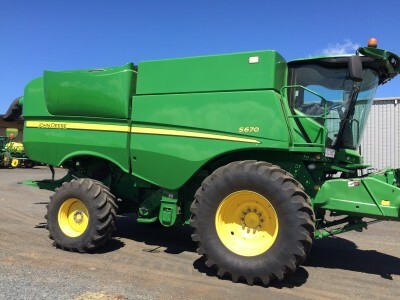 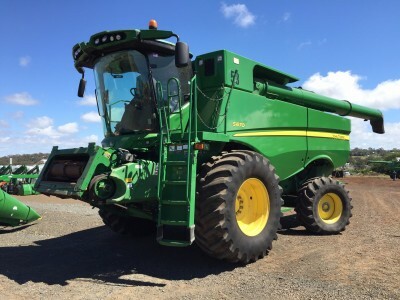 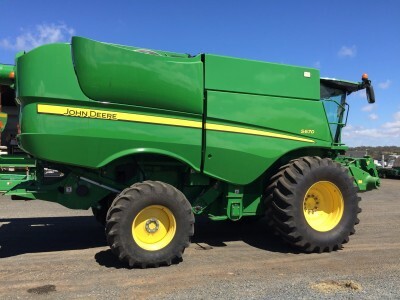 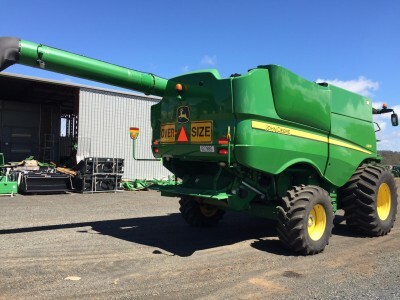 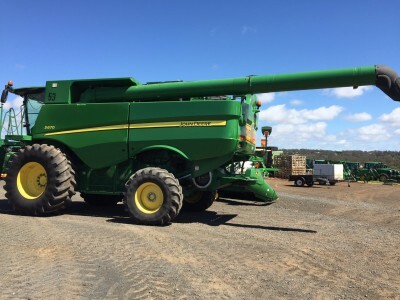 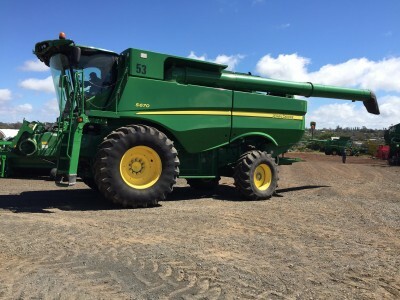 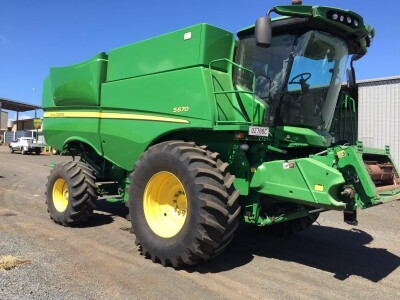 MACHINE IN VERY GOOD CONDITION, LOCATED TOOWOOMBA STK # X084587. 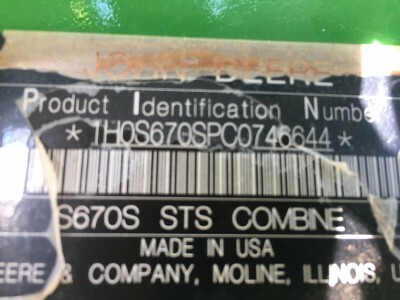 Find the stock that you are looking for..